On one level, the new holiday symbolizes the return of 1959 and the Tibetan uprising. In 1981, when discussions between the Dalai Lama’s representatives and the Chinese government were only beginning, no less a figure than Communist Party General Secretary Hu Yaobang asserted to the Dalai Lama’s brother, Gyalo Thondup, that »There should be no more quibbling about past history, namely the events of 1959. Let us disregard and forget this.« Subsequently, China did take 1959 off the table in talks with the Dalai Lama’s representatives. But now, in the clearest indication yet that those talks are at a dead-end—the last round, in November, ended humiliatingly for the Tibetans—China has brought 1959 back into play on its terms. Hence the renewed emphasis on marking 1959 as the year of liberation for Tibet’s brutally oppressed serfs. 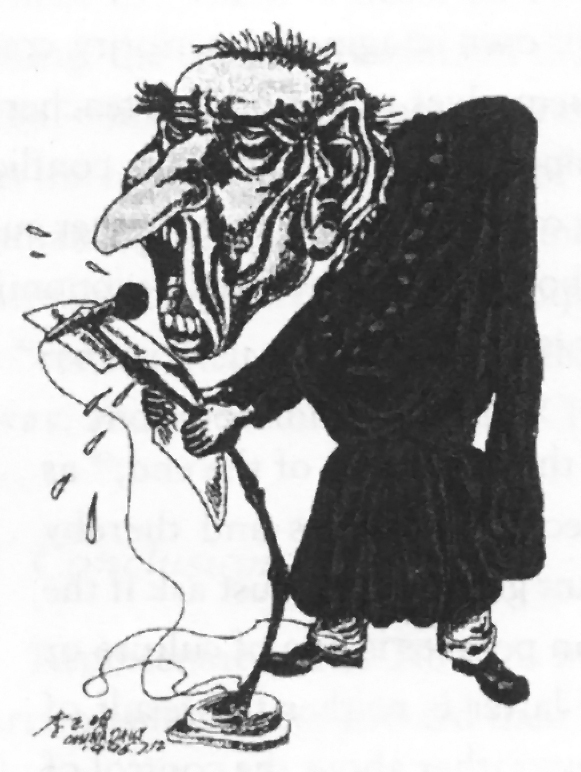 News item: China violates its own ban by publishing a caricature of the Dalai Lama. Accompanied by an article charging him with having used human heads, intestines and skin in sacrificial offerings. There’s no doubt that Tibet’s traditional society was hierarchical and backwards, replete with aristocratic estates and a bound peasantry. And there’s no doubt that Tibetans, whether in exile or in Tibet voice no desire to restore such a society. Many Tibetans will readily admit that the social structure was highly inegalitarian. But it was hardly the cartoonish, cruel »Hell-on-Earth« that Chinese propaganda has portrayed it to be. Lost in most discussions is an understanding that Tibet’s demographic circumstances (a small population in a relatively large land area) served to mitigate the extent of exploitation. The situation was quite the reverse of China’s in the early 20th century, where far too little land for the large population allowed for severe exploitation by landowners. China’s categorization of Tibetan society as feudal (technically, a problematic characterization) obscures the fact that this socially backwards society, lacking the population pressures found elsewhere, simply didn’t break down as it ought to have and continued functioning smoothly into the 20th century. Inegalitarian? Yes. Sometimes harsh? Yes. But Hell-on-Earth for the vast majority of Tibetans? No. Traditional Tibetan society was not without its cruelties (the punishments visited on some political victims were indeed brutal), but seen proportionally, they paled in comparison to what transpired in China in the same period. In modern times mass flight from Tibet actually only happened after Tibet’s annexation to the People’s Republic of China. It’s hardly likely that most Tibetans, after all these decades, are ready to buy into the government-enforced description of their past; such ham-handed actions may well make many view the past as far rosier than it actually was. It is also unlikely to win over large foreign audiences beyond those who already are, or would like to be, convinced. Most likely, it will simply reinforce a Chinese sense of a mission civilatrice in Tibet. The colonial thinking and arrogance inherent in such missions when entertained by European powers in the past is obvious. And it is precisely the kind of attitude that will likely exacerbate friction in Tibet and—justifiably—lead Tibetans to view China’s presence in their land as of a sort with the colonialism of other nations. ELLIOT SPERLING was the director of the Tibetan Studies program at Indiana University’s department of Central Eurasia Studies and he is the author of The Tibet-China Conflict: History and Polemics. A historian, Sperling has written many essays on Tibetan history and Sino-Tibetan relations. He is a widely-cited expert on Tibet and its relationship with China. Elliot Sperling died in January 2017 at the age of 66. Dorjee, Tenzin (2017) “Obituary: Elliot Sperling (1951-2017),” HIMALAYA, the Journal of the Association for Nepal and Himalayan Studies: Vol. 37 : No. 1 , Article 33. This article was posted on March 27, 2009 in FEER. Offered with kind permission from the publisher and author. Left image: © Bundesarchiv: Bild 135-GA-2-02-18, Tibetexpedition: Bramaputra valley, fieldwork, plowing. Photographer: Geer, Edmund / Licence CC-BY-SA 3.0. Right image: © Bundesarchiv: Bild 135-S-10-03-04, Tibetexpedition: Kangmar, group of Tibetan children. Photographer: Schäfer, Ernst / Licence CC-BY-SA 3.0.